Dr Kotecha is trained in all aspects of Dental Implantology and takes referrals at T Clinic for this. Amit was also on the Specialist Register for Oral Surgery from 1999 to 2012. Amit Qualified from Kings College London 1991 and then worked in Maxillofacial Surgery for 6 years up to Registrar Level. He attained his Specialist Status in Oral Surgery in 1999. Opening a Specialist Practice in Leicestershire, dedicated to the provision of Dental Implants and Full Mouth Rehabilitation. 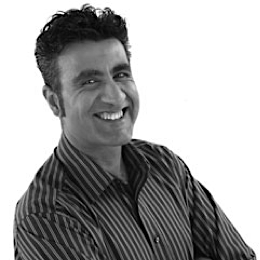 Amit Has been placing and restoring Dental Implants since 1992. He lectured for several Implant companies and Ivoclar Vivadent and ran inhouse courses for Implants and Restorative Dentistry. He is an avid adventurer having made three attempts at summiting Everest for CRUK and raising £117k in the process, he dives, parachutes, kayaks and thrives on the adrenaline buzz of any challenge.